My last post on here was a bit over 3 months ago, having returned from my year abroad a little over 2 months ago. It has been a crazy few weeks, and I’m not sure if I’m really settled back into my old life. There’s a phrase I don’t really like, old life – the same way I don’t like the phrase normal life. It makes it feel like you haven’t changed while abroad, that that was something special – and now you are your old self again, which I don’t really think is true. Anyways… I’ve written about 4 different blog posts over the course of the past few weeks about being back home, and scrapped all of them for various reasons. 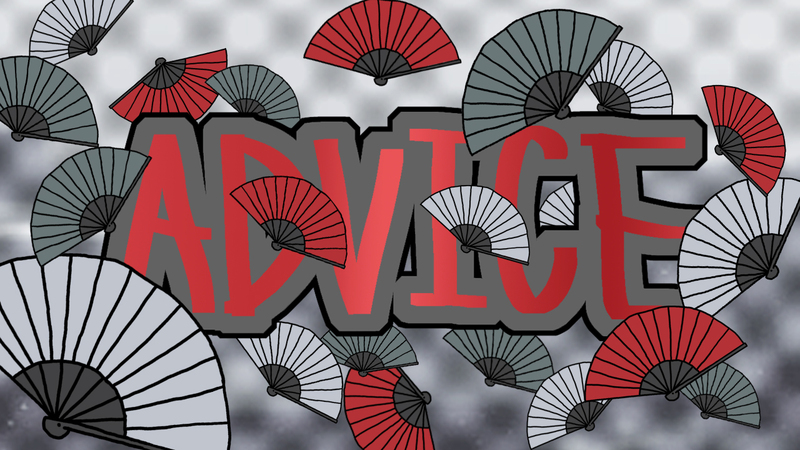 Instead, I decided to look over the advice I got before/whilst being in Japan, reviewing and adding to them as I go along. This definitely holds true, you’ll be surprised by how little you actually need to take with you. There’s some advice that other people gave me for important things, like if you wear glasses, be sure to bring a spare pair, and things like that. In Japan you will most likely have a school uniform [unless you are in Nagano prefecture, or at some private schools], so you probably won’t need to bring that many clothes. Most schools require a certain type of shoe that goes along with the uniform, plus everyone has the same type of indoor sport shoe at school, so you will probably have to buy some anyways. My general advice would be to not bring to many pairs of shoes, especially as they are heavy and take up a lot of space. Something I noticed in Japan is that shoe sizes are rather small, and only go up to about 28cm for boy and 25 for girls [convert this to your countries system] , if you have bigger feet than that, you probably should think about bringing pairs of shoes. Speaking of shoes, be sure to have shoes that you can slip in and out of in a matter of seconds, as you will be taking them off all the time – at home, at most restaurants, at school etc. Passport size photos [4×3 cm], you will need quite a few of these, for your residency ID, School ID, AFS ID etc… you will be carrying a lot of IDs with you. A camera. I took around 16.000 photographs on my camera alone, and I know people who took more. You will be doing a lot of very special things, and having a [small] camera with you helps capture moments and stuff. Speaking of electronics, be sure to take a harddrive and USBs/SD cards with you, you might need some to transfer data to people at school, and having a big harddrive backup is always useful to store your photos and important data you would not want to loose. A diary or journal. You don’t need to buy one in your home country, you could also get one unique to your host country like a friend of mine did, but I do think it is important to keep one over the course of your year abroad. I don’t keep a diary at home, and haven’t really continued after coming back, but keeping one whilst abroad helps collect your thoughts and it’s always great to look back after returning. Stick in a ton of photos and tickets and stuff as well. A gift for your host family/LP [AFS Liaison Person]/Teachers and headmasters. In Japan especially, it is important to bring a gift when coming from a trip or place. Plus, these people are all volunteering to help you for a year, the least you could do is bring a gift. Food, especially sweets that can be shared [for example for your class/teachers] are always nice. Make it something unique to your home country though. A lot of people tell you to bring a language dictionary with you, but from experience, these are expensive and heavy, and things like your phone work a lot better anyways. Just download the language of your host country on Google Translate or the likes. You probably won’t be lugging around your huge dictionary all the time anyways. Toiletries. You’ll be experiencing so many new things in the first few weeks, and it’s always nice to have some basic necessities with you that you know are good. Don’t bring a years supply of tooth paste though, you can get those there too you know. It makes arriving less stressful though if you already have some things with you. Not comparing too much is important, as it will ultimately lead to: This is better home, this is better here, and that’s not really the best mindset to have. This, of course, doesn’t mean that you can’t share cultural differences with your host family, from experience, I find it really interesting to chat with people about how things differ. It’s important not to judge things though, don’t say: This is better back home, instead, try saying things like: This is the way it is in my home country. It’s important not to do this too much as it says in the advice, as it will lead to people thinking you are stuck home in your head. Again, things aren’t better or worse, they’re just different. This one’s a bit tricky, on the one hand I agree with it, you shouldn’t shy away from trying new things, you shouldn’t burn out completely and be fully overworked and busy all of the time. Trust me, this means a lot coming from a person who always does 10.000 things at the same time. It’s okay to not go to school clubs on every weekend, and it’s okay to have a quiet day every once in a while. I know the feeling like your time is always running out and that you need to make use of every second is a strong one, it’s okay to take a day off. Have a normal day in your host country. Being on your phone/computer too much, especially chatting with people from back home. You may be homesick or miss your friends, and it’s okay to keep in touch, but it makes it harder to settle in and your host family/ school friends might find it a bit rude. Not helping out at home. You are a part of the family now, and that includes helping out with chores. Always ask if you can help with something, sometimes your family won’t ask you directly. Again, they are hosting you for a year, the least you can do is help out. Spend time with your family. I know school in Japan takes a lot of time and you might have a lot of school work, but don’t spend too much time in your room alone. Make sure to spend enough time with your family playing games, chatting, etc. They are probably willing to help you study Japanese/do your schoolwork. This section will be a bit shorter, as I have, relatively speaking, not been back long. Get a stationary set, a bunch of stamps and a pen ready, because you are going to be writing a lot of letters. Of course, you could also just send them messages through LINE or via email, but writing a letter is a more personal touch and it’s always nice to receive letters from people around the world. If you aren’t repeating the year, chances are you need to catch up with a bunch of subjects, be it a language you didn’t have there or any other subject you missed. I didn’t quite manage to catch up over the summer break, partly because I was busy and partly because I was a tad bit lazy, but it’s important to try. They haven’t seen you in a year, you’ll have a lot to catch up on. …and that’s about all I have to say for now, I might revisit this page at a later that and revise/add new tips as I spend more time reflecting upon my year abroad. I hope you enjoyed this longer post, my next one will have more photos and will be less dry, I promise. I’ll be back [hopefully] next week with a post about Shrine/Temple etiquette in Japan, so look forward to that, I’ll do my best to post on here more regularly.